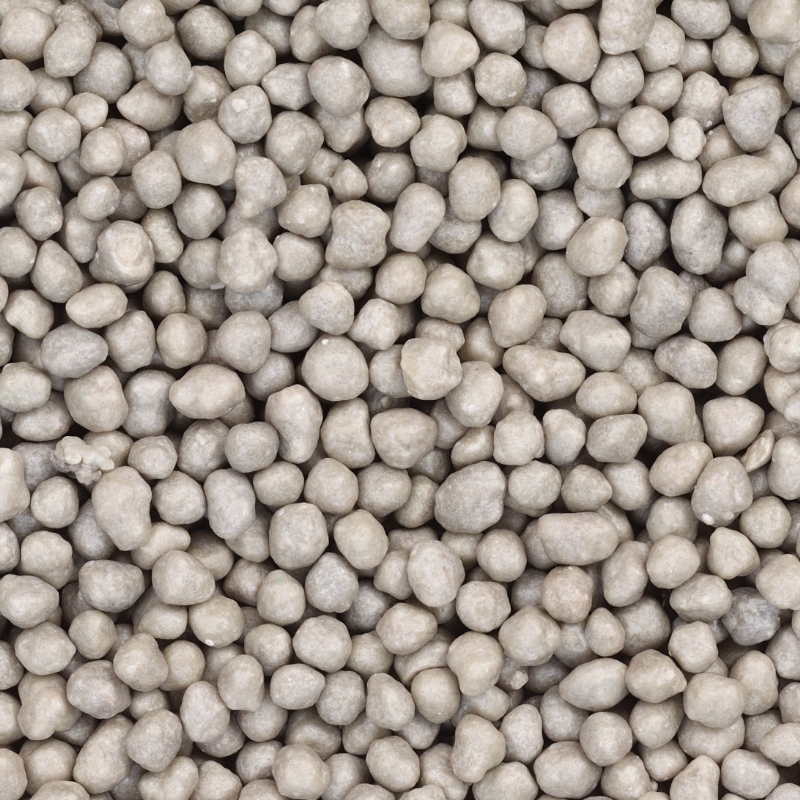 Controlled release fertilizers like Dynamite All Purpose 18-6-8 provide the greatest degree of safety because each granule completely coats the macronutrients and micronutrients which ensure a consistent and predictable release. When Dynamite is applied to the soil, water enters the granule through the pores and dissolves the nutrients which are then steadily released through the same pores. The rate at which the nutrient solution is released is primarily controlled by temperature and that rate strongly correlates with trees metabolism. For example, when it is warm and trees are in active growth the coating expands allowing more nutrients to be released. As temperatures drop and trees go into dormancy in preparation for winter the coating contracts nearly ceasing the release of nutrients. This extremely consistent fertilizer release even during extreme conditions allows customers to apply Dynamite all year long.